Click the image below to open the 8th grade Course Presentation! Click the image below to open the 11th and 12th grade College and Career Readiness Presentation Slides! The 11th and 12th grade presentation video is not available at this time. Check back later for updates! These scholarships are for students pursuing a career in healthcare. Please visit FHN website for details. Deadline for submitting application is Sept 7th. This is scholarship is for full time high school seniors, planning on pursuing and completing a bachelor’s degree program at an accredited non-profit public or private institution in the United States. Demonstrate financial need, involved in co-curricular and community service; maintain a minimum GPA of 2.0. For more details, go to the website. Deadline is October 25, 2018. The Village of Progress Foundation Scholarship is available in the Counseling Office. To be eligible, the student must be a resident of Ogle County; be either a high school senior who is disabled or is planning on attending college and majoring in an area related to the disabled. Applications must be received by October 1, 2018. The Acorn Equality Fund is a grassroots organization that provides college scholarships for Gay, Lesbian, Bisexual, Transgender (GLBT) persons, their children, and allies in Illinois’ downstate counties. To apply for this scholarship go to https://www.acornequalityfund.org/ Deadline is September 21, 2018. The CBAI Foundation for Community Banking 2019 Annual Scholarship is available in the Counseling Office. The competition is open to Illinois high school seniors who are sponsored by a CBAI member bank. Students will be asked to write an essay on 3 different subjects. For more information on this scholarship, go to: www.cbai.com Deadline is February 6, 2019. Looking for a way to make the scholarship application process a little more fun? While there are plenty of scholarships out there that award students based on their academic success or volunteer services, this isn’t necessarily that list. Instead, you can find weird scholarships that let you declare your love for ice cream or hash out a survival plan for a zombie apocalypse. Great with fashion design and using duct tape? Perfect! Can you speak Klingon? Excellent (or, perhaps you’d say, “Chon!”). You’ll find several weird scholarships like these in this special directory list. So, have fun and start applying for your chance to win! UNIGO is your connection to OVER 3.6M in Scholarships. Go to www.unigo.com to sign up and start applying today! The Village Of Progress Foundation will offer a $500, one year scholarship to be awarded at their Annual Banquet scheduled on October 17, 2018. The financial status of the applicant is not a consideration.To be eligible, the student must be a resident of Ogle County, be either a high school senior who is disabled or is planning on attending college and majoring in an area related to the disabled, or a full-time undergraduate college student who is disabled or is majoring in an area related to the disabled. Applications must be received by October 1, 2018, be completed on the Foundation application form, and include at least three written references. Those wishing an application are encouraged to call the Village of Progress at 815-732-2126 or stop by the OHS counseling office for a copy. If you are pursuing a certificate in practical nursing, an associates degree in nursing, a hospital-based diploma in nursing or a bachelor’s or graduate degree in nursing and demonstrate the greatest financial need among qualified students, you may be qualified to win the Nursing Education Scholarship. This scholarship provides financial aid anywhere from one to four years. If awarded, you must begin full- or part-time employment as a licensed practical or registered nurse in Illinois within six months of graduating, and remain employed for a period equivalent to the educational time supported by the scholarship. If you terminate studies, or fail to become employed, you will be required to repay the full scholarship amount, plus seven-percent interest per year. The application cycle for this scholarship is from March 1 through May 31, prior to the beginning of the academic year for which you are requesting the scholarship. For more information, visit the website for the Illinois Department of Public Health Center for Rural Health. In an effort to address the shortage of nurses and the lack of instructors to staff courses teaching nursing in Illinois, the Nurse Educator Loan Repayment Program encourages longevity and career change opportunities. The program is intended to pay eligible loans to add an incentive to nurse educators in maintaining their teaching careers within the State of Illinois. The annual awards to qualified nurse educators may be up to $5,000 to repay their student loan debt, and may be received for up to a maximum of four years. The Illinois PTA Scholarship is an achievement-based scholarship awarded to graduating high school seniors each year. Students entering an education related field of study are recognized for their capacity to lead and serve, and their commitment to making a significant impact on their schools and communities. Grade Point Average of 3.0 or above in a non-weighted 4.0 scale. Please convert the GPA if it is weighted and/or a 5.0 scale. Enrolling in a college or university in education or education-related degree program, which may include: Librarians, Instructional Media Specialists, School Nurses, School Psychologists, or Social Workers (all of which require certification from a State Board of Education). Be sure grades for a minimum of 7 semesters of high school are available on the uploaded transcript. The Chemical Industry Council of Illinois, through the Illinois Chemical Education Foundation (ICEF) presents a number of $2,000 scholarships each year to top high school senior science students. We welcome all applications for the ICEF scholarships. The ICEF’s objective is to recognize and honor high school seniors who have exemplified outstanding achievement in academics, extracurricular/employment activities and community involvement. Please submit the following information postmarked no later than Friday, February 23, 2018, and received no later than Wednesday, February, 28 2018. Please submit the following information postmarked no later than Friday, February 23, 2018, and received no later than Wednesday, February, 28, 2018. Visit learnmore.scholarsapply.org/leadersandachievers to learn more and apply today! We are pleased to announce that University of Minnesota Twin Cities is now accepting applications for the 2019 Mr. and Mrs. George W. Taylor Foundation Scholarship. This is a four-year, full cost of attendance scholarship to the College of Science & Engineering (CSE) at the University of Minnesota Twin Cities toward any CSE degree. This scholarship is worth more than $180,000 over four years, beginning in Fall 2019. You can learn more about the College of Science & Engineering, including all our degree programs, at cse.umn.edu. The Taylor Scholarship application and instructions can be found at: z.umn.edu/csetaylor. The deadline to apply online and submit all required application materials is Thursday, January 3, 2019. Mr. Taylor believed his engineering education at the University of Minnesota was the catalyst to his own successful engineering career. He believed the world would be better if there were more engineers. This scholarship is intended to provide a student from the Rockford, Illinois area the same opportunity at Minnesota that was available to the late Mr. Taylor. Graduating high school seniors are preferred, but junior college graduates are eligible. Candidate must indicate a permanent residence within a 50-mile radius of Rockford, Illinois. Candidate must have applied for admission to the College of Science & Engineering at the University of Minnesota Twin Cities. Candidate must be in top 10% of graduating class. Candidate should have an ACT composite score of 30 and mathematics score of 29 or better (or equivalent SAT: total 1370, math 680). Financial need is a consideration but not a requirement. Submit or postmark all these items by Thursday, January 3, 2019. The Rock River Chapter of the Illinois Society of Professional Engineers 2019 Scholarship Application is available in the Counseling Office. This scholarship is for high school seniors who will be enrolling in an engineering program in the fall of 2019. Deadline is January 19, 2019. The Chief OHS/ U of I Alumni Scholarship is available in the Counseling Office. This scholarship for any 2019 graduate of Oregon High School with plans to attend the University of Illinois at Urbana-Champaign beginning with the Fall 2019 semester. Deadline is April 26th. The Lauren’s Legacy Scholarship Award Application is available in the Counseling Office. Lauren Donmeyer’s legacy was her unconditional kindness, strength, and compassion towards others. It is in her memory that her family will be awarding one $500.00 scholarship to an OHS graduating senior who plans to attend a technical school or a 2-year or 4-year college or university while pursuing a postsecondary degree. Deadline is April 1st. The Illinois Odd Fellow-Rebekah Scholarship Award Application is available in the Counseling Office. This scholarship is based on financial need and scholastic ablility. Deadline is March 1st. Applications are now being accepted for the 2018-2019 Keith & Mary Lou Hauge Student IEA Scholarship. $1,000 scholarships are available for Student IEA members. Online application, accompanied by supporting documentation, must be submitted no later than March 1, 2019. View the scholarship guidelines and online application. The Sauk Valley Area Chamber of Commerce, Agriculture Scholarship Application is available in the Counseling Office. This scholarship is for students who plan to attend an accredited college or university and pursue a career in the field of agriculture. The Sauk Valley Area Chamber of Commerce, Manufacturing Scholarship application is available in the Counseling Office. This scholarship is for students planning to attend Sauk Valley Community College or Morrison Institute of Technology, to pursue a career in the area of manufacturing. Deadline is March 1st. The Dean Ritter Trust For the Deaf and Hard of Hearing Scholarship application is available online at www.deanritter.org/2019-scholarship. The Mercyhealth Community Scholarship – for graduating seniors or individuals enrolled in College Programs in all Wisconsin and Illinois Mercyhealth service areas; 5 general healthcare careers and 2 specifically for nursing. The Mercyhealth Minority/Veteran Scholarship is available for minority or veteran individuals residing in all of Wisconsin and Illinois Mercyhealth service areas pursuing secondary education in a healthcare field. The Mercyhealth Ethnic Minority Nursing Scholarship is available for individuals pursuing a nursing degree residing in all Wisconsin and Illinois Mercyhealth service areas. Applicant must be fluent in Spanish. The Phidian Art Club 2019 Scholarship application is available in the Counseling Office. This scholarship award provides $700 for one graduating high school student who displays excellence in the arts and intends to pursue post-secondary education in the arts. Deadline is April 5th. SPRINGFIELD, IL – Applications are now being accepted by the Illinois Conservation Foundation (ICF) for the 2019 Conservation Achievement Scholarship program. The ICF annually awards scholarships to outstanding high school seniors in Illinois who demonstrate effective, voluntary, long-term dedication to the preservation, protection or enhancement of the state’s natural resources. Up to three scholarships of $2,000 each are available for the current school year. The ICF Conservation Achievement Scholarships have been awarded since 2005. Applicants must be an Illinois resident and a senior in an Illinois high school. Applications must be received by the ICF by March 15, 2019. The CGH Medical Center Auxiliary Healthcare Scholarship is available in the Counseling Office. This scholarship is for students who are enrolled in, or high school seniors who are planning to enroll, in a health-related education program. Deadline is April 1st. The PFLAG Scholarship Application is available in the Counseling Office. This scholarship is for graduating seniors who identify as lesbian, gay, bisexual or transgender, or who are strong allies of the LGBTQI community. Deadline is April 5th. Are you a student who is not afraid to be themselves? We are looking for fun and unique candidates for our Flavorful Futures Scholarship. Sparkling Ice® is awarding FIVE $5,000 scholarships to eligible high school seniors who are planning their bright and colorful futures. If this sounds like one of your students, tell them to apply today! The deadline is approaching soon! Applications are due by February 15, 2019and winners will be announced in Spring 2019. Apply now at http://go.pardot.com/e/120702/2019-01-16/68fq44/313622243?h=6kG3S0GtXz9CmmIu1916kuH-fv8gRxPiCV7cP4ZPZrw. 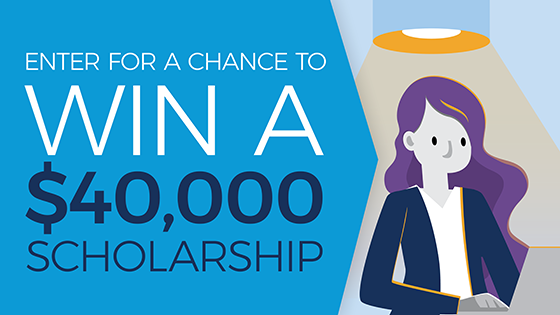 Cornerstone Credit Union's Founders Scholarship Committee will be awarding SIX (6) $1,000 Founders Scholarships to deserving high school seniors. The Founders Scholarship program has been in existence since 1998. Education is a key element of the credit union mission and is vital to our community's and economy's success. This one-time scholarship is awarded to recipients who have exemplified leadership and dedication throughout their high school scholastic career and plan to attend an accredited college, university, community college or technical/trade school. Applicants must join the credit union as part of the application process by the application deadline, which is February 28, 2019. If you have any students you feel might be interested, please direct them to our website, cornerstonecu.org, where they can apply for a scholarship online or print and mail the application. The Schoon Scholarship application forms for Ogle County students who plan to pursue a four-year degree are available in the Counseling Office as well as online at: www.roe47.org. Incoming college freshman students in 2019 - 2020 as well as recipients of the Schoon Scholarship in past years are encouraged to apply for the Schoon Scholarship. All applications with supporting material is be received by 4:00 p.m. on Friday, April 12, 2019 in the Regional Office of Education to the attention of Betty Clementz, 1001 West 23rd Street, Sterling, IL 61081. Students who are Highland-bound may now access our easy-to-use search engine at https://highland.edu/admissions/financial-aid/scholarships/ to apply for more than $350,000 in scholarships. The search engine allows students to enter in a few demographic details to narrow down the list to display scholarships for which they are qualified. The deadline for most scholarship applications is April 1st. Also, registration for the summer semester opens on February 20, 2019. A complete listing of summer semester courses can be found by viewing the searchable schedule at www.highland.edu. If you have students who are interested in online course opportunities, please encourage them to register early as these classes fill quickly. Year-round Pell is available for the 2018-2019 school year so students who are graduating in May may be eligible to qualify for financial aid for summer classes. The first step in applying for financial aid is to submit the 2018-2019 FAFSA online at www.fafsa.gov, and graduating seniors will need to enter in 2016 tax information for the application for the summer semester. Most three credit hour classes will cost approximately $534.00 this summer. If students choose to take an online class, it will cost an additional $15.00 for the Internet fee. The James E. Renz Pinecrest Memorial Scholarship is available in the Counseling office. This scholarship is for students planning on attending college in the fall of 2019 and majoring in the fields of healthcare, social work, divinity. Deadline is April 1st. The 2019 Tri-County Opportunities Council Scholarship is available in the Counseling Office. Preference will be given to applicants wishing to pursue high demand careers, although individuals pursuing other careers should not be discouraged from applying. Applicants of racial or ethnic minorities as well as previous scholarship recipients who meet the eligibility criteria are encouraged to apply. This is an income based scholarship. Please refer to the application for more information. Deadline is March 22, 2019. Kishwaukee College is now accepting applications for the College's Academic Achievement Scholarships for the 2019-2020 academic year. This year, Kish will be offering two types of Academic Achievement Scholarships for in-district high school seniors who will be attending Kish in Fall 2019, the President's Scholar and the College Scholar. The President's Scholar provides $1,000 per semester for four semesters. To qualify, seniors need a seventh semester GPA of 3.75 or above. The College Scholar provides $500 per semester for four semesters. To qualify, seniors need a seventh semester GPA of 3.25-3.74. For more information or to download an application, please visit www.kish.edu/scholarships. All qualified students who submit an application will automatically be awarded the scholarship. Please note: The application deadline is Monday, April 15th at 4pm. The Adkins Energy LLC Scholarship is available in the Counseling Office. This scholarship is designed for anyone actively pursuing a higher education. An essay is required on this topic: “What is E15 and why is it important to farmers and consumers”? Deadline is April 2nd. The Rochelle Community Hospital Auxiliary Scholarship is available in the Counseling Office. The recipient must be pursuing a career in the healthcare field and have been accepted into or is currently enrolled in an accredited program. Deadline is March 8th. Special consideration will be given to students of parents who do business with Compeer Financial. Deadline is March 1st. The Carroll Service Company Agriculture Scholarship is available in the Counseling Office. This scholarship is for high school seniors planning to study in the field of agriculture, but also those students interested in getting a degree or certificate in Building & Trades or Welding field of study. Deadline is April 19th. The Lena Moscarelli Scholarship application is available in the Counseling Office, for students who are pursuing a career in the legal field or actively enrolled in a course of study that will allow that student to achieve a career in the legal field. You must be a resident of or employed in Winnebago, Boone or Ogle County. Deadline is March 31st. The Foundation for Focus House Scholarship Program has 3 scholarships available in the Counseling Office: The LaVerne Adams Scholarship; The F. Lawrence Lenz Scholarship; and The Foundation for Focus House General Scholarship. Applicant criteria: Must be an Ogle County resident; must be a graduating high school senior OR already enrolled or in a post-secondary institution (all vocational programs will be considered); demonstrate a positive change they have caused in themselves or their community; priority will be given to past Focus House residents, former probation clients, youth that have had police contact and youth that are studying criminal justice. Deadline is April 12th. The KSB High School Healthcare Scholarship application is available in the Counseling Office as well as online at https://www.ksbhospital.com/community/scholarships/ . This scholarship is for high school seniors planning to pursue a career in healthcare. Deadline is March 15th. The 2019 Pearl City Elevator Agriculture First Scholarship application is available in the Counseling Office. This scholarship will be awarded to high school seniors based on scholastic achievement, leadership in agriculture, and a perceived ability to contribute to the agriculture community in the future. Deadline is March 1, 2019. The 2019 Pearl City Elevator Jim Vondra Memorial Scholarship application is available in the Counseling Office. This scholarship will be awarded to students pursuing a higher education based on scholastic achievement, leadership, need and community involvement in honor of the memory of Jim Vondra. Jim was highly personable and conscientious; his dedication to serving others was second only to his family. Deadline is March 1st. Eligible sophomores and juniors that register for the April, June, or July, 2019 US national test date (and opt-in to the giveaway during registration) has a chance to win the scholarship. It’s just that easy! Eligible students may also enter by mail. The Knights of Columbus Scholarship Application is available in the Counseling Office. Applicants must be an active member of St. Mary’s Catholic Church in Oregon. Deadline is April 14th. The Rock River Human Resource Professional Association is pleased to offer one annual scholarships for a student pursuing a degree in Business with a major/minor in Human Resources. Higher education is an investment in one’s future and deciding how to pay for college can be a challenge. Kishwaukee College has some exciting opportunities for financial support. Scholarships awarded to students who graduate from an in-district high school with a GPA of 3.25 or above. Students who qualify and apply will be awarded the scholarship! Over 300 scholarships are awarded annually, totaling more than $300,000. Applications for Academic Achievement and Foundation Scholarships are due by April 15. Online registration for summer and fall classes begins April 8. For more information on scholarships, visit www.kish.edu/scholarships. The Performing Arts Guild Scholarship Application is available in the Counseling Office. This scholarship is open to anyone interested in studying the arts. This includes, but is not limited to: performing, directing, teaching drama, music, visual arts, technical craft, comedy, dance, set design, etc. Deadline is April 30. The Trinity Evangelical Lutheran Church, Hiteman Scholarship application is available in the Counseling Office. This scholarship is for students planning to enroll in a community college or vocational institution. It was the desire of Olie and Jane Hiteman to assist students with average to above-average grades who might not receive other scholarships. The award for 2019-2020 will be $1000 per semester (fall and spring) plus $500 available if attending summer school in 2019. The deadline for applying for this scholarship is Wednesday, April 17, 2019. Kishwaukee College is proud to offer a new scholarship to high school students. The Dual Credit Scholarship awards up to $1,000 over four semesters to high school students who earn college credit while in high school. This includes dual credit at the high school, credit through KEC, or dual enrollment offered at the College. Applications are due June 1. Students who apply and meet eligibility requirements are automatically awarded scholarship. The Oregon VFW Post #8739 Scholarship application is available in the Counseling Office. You can also pick up applications at the VFW in Oregon. Applicant must be a high school senior who plans to attend any type of post high school institution of higher learning or training. Deadline is April 30th.